A hands-on session to guide creative image makers in making their photographs more effective for the Social Media environment. There will be a 45 min session focused on the 'new basics’ in social media imagery; composition, lighting, framing, and color as it applies to formal and casual portraits, selfies, brand identity, groups, interiors, landscapes, & action shots. Images from the most famous of photographers to the most inexperienced teen selfie taker will be used to illustrate the lessons. This will be followed by 30 minutes of creating images. We will work in and around the venue, creating portraits of individuals and groups, using the limitations of camera phone to our expressive advantage, finding available light no matter where we are, and composing a scene for maximum visual impact. A second 45 min. session will follow to discuss the just completed images of some of the participants; what went right, how we can improve on the image, and how we can apply them to specific projects we need images for. We will then discuss more advanced photography techniques available within various apps, online photography sites & their pros and cons, and opportunities for even amateur photographers to gain attention and business. A final shooting & posting session will complete the workshop. • Understanding how people see imagery in the Social Media age. • How to create a great portrait using available light, no matter where you are and no matter what type of camera you have. • How to take photographs of strangers! 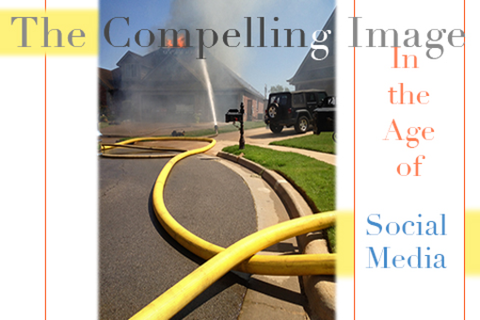 • Where to share and publicize your images for maximum benefit to your social media goals. - The participants need to be familiar with camera phones or better (DSLR, Point and Shoot). They need to know how to store and upload images. - The participant will need at least a camera phone. We will focus on camera phones as well as DSLRs and point and shoots. - Having a laptop or tablet to display your images to others in your group will be helpful, but not necessary. I am the owner of two companies, MAKE Studio, focusing on Photography (with an emphasis on Personal portraits and exhibition level photo collage work) and Napkin Dad Publishing - home of the 'The Napkin Dad Daily' blog. I am married to Linda and am the proud father of 4 grown daughters. I am also VP and Education Organizer of PHOTOG, a 900+ member photography group in Oklahoma. I give regular lectures and presentations to the group as well as organize photo shoots. I work part-time as a running coach with Fleet Feet Tulsa, leading the intermediate 10 and 15k groups. I train to run 1/2 and full marathons as well.